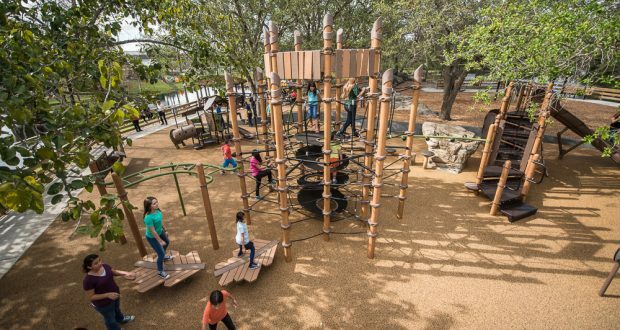 The community of Hialeah, Florida, wanted to create a playground that promoted outdoor adventure. 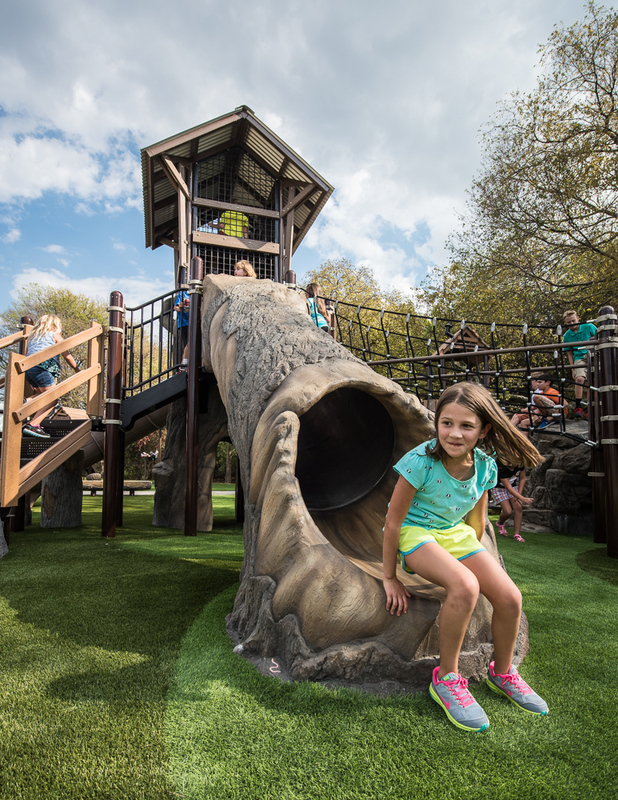 They got what they wished for with this custom, nature-inspired PlayBooster® Netplex™. 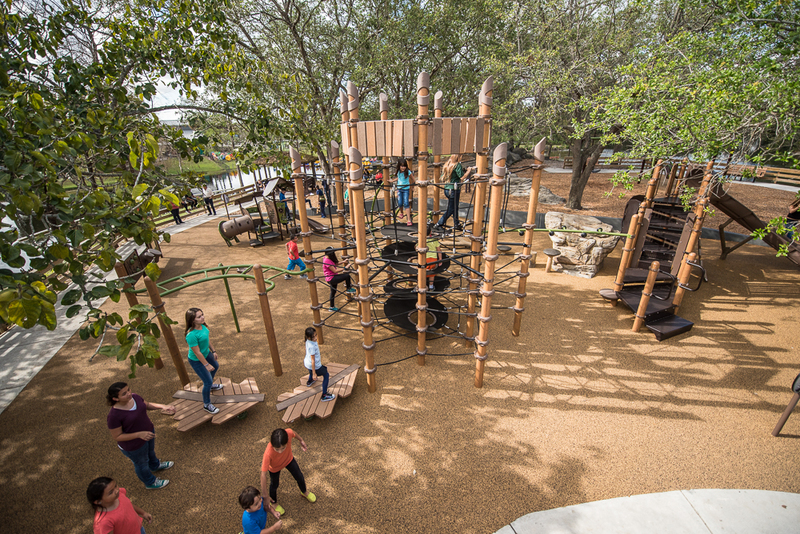 Recycled Wood-Grain Panels and a woodsy color scheme fit right into the landscape. 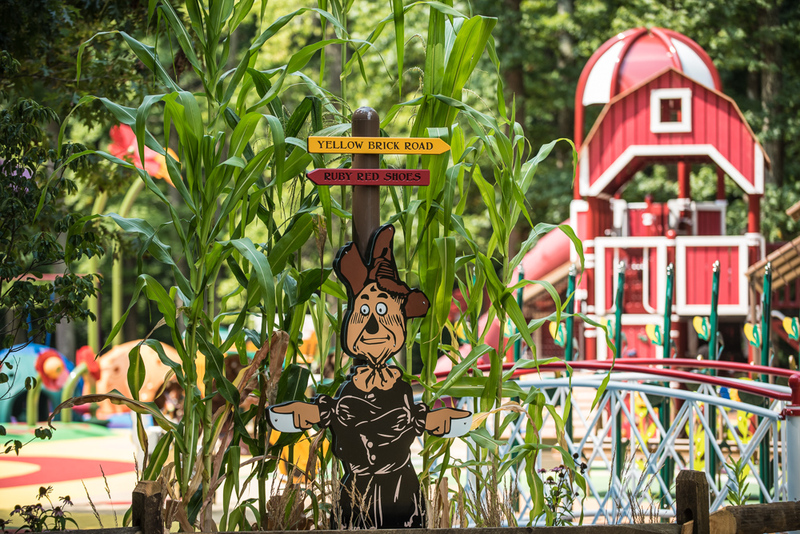 Follow the Yellow Brick Road to the Wizard of Oz-custom themed playground! 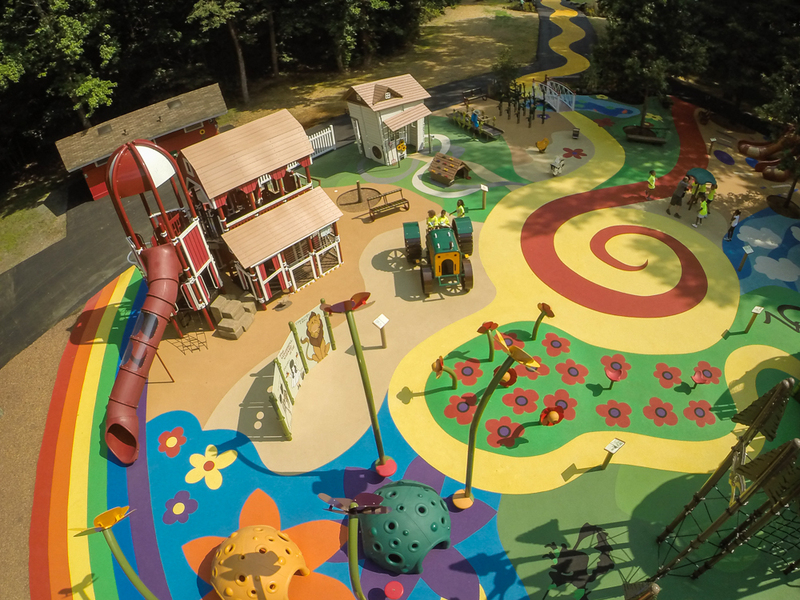 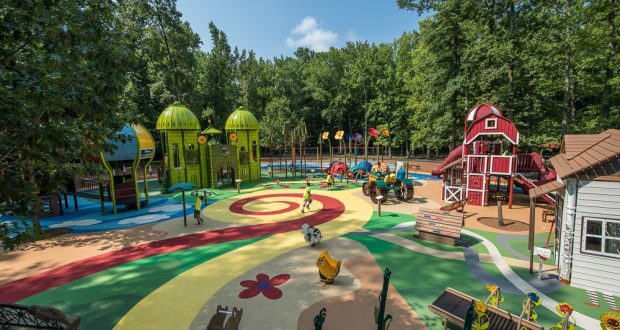 The playground design is a literary dream as it tells the story of L. Frank Baum’s “The Wonderful Wizard of Oz,” from Auntie Em and Uncle Henry’s Kansas farm to the poppy field, Emerald City and Dorothy’s attempt to get home via hot air balloon. 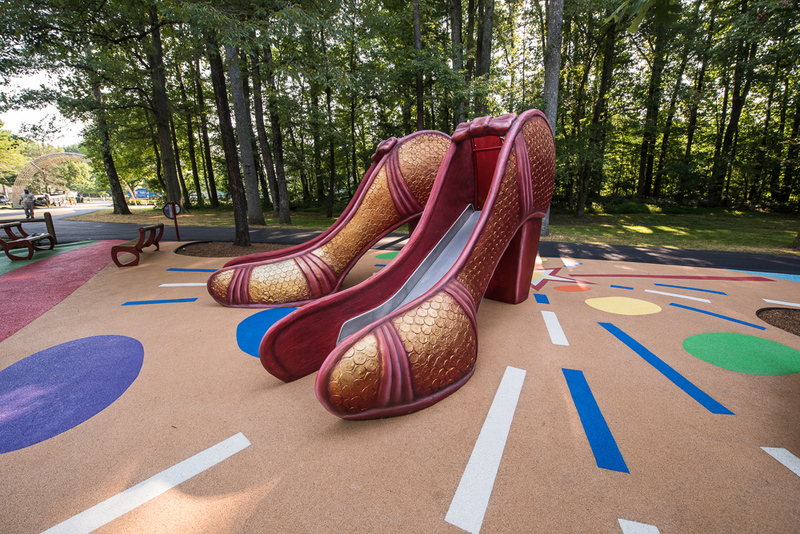 Even more, Dorothy’s ruby slippers were adapted to be playground slides! 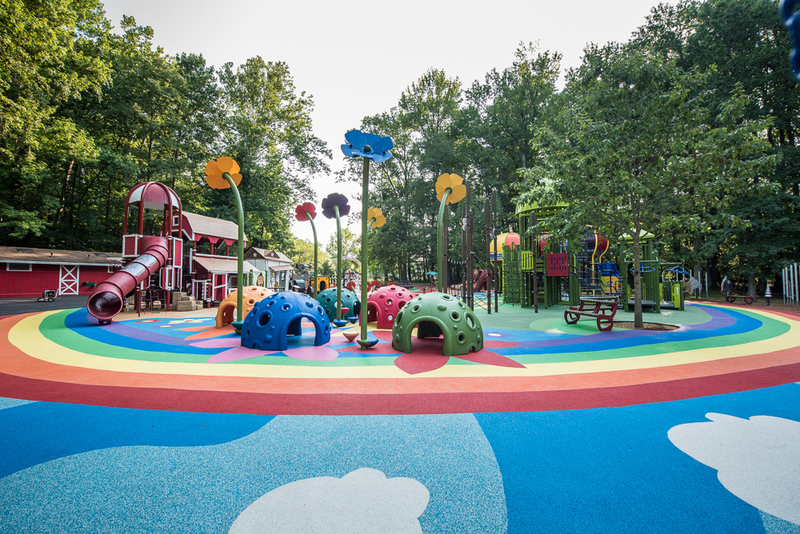 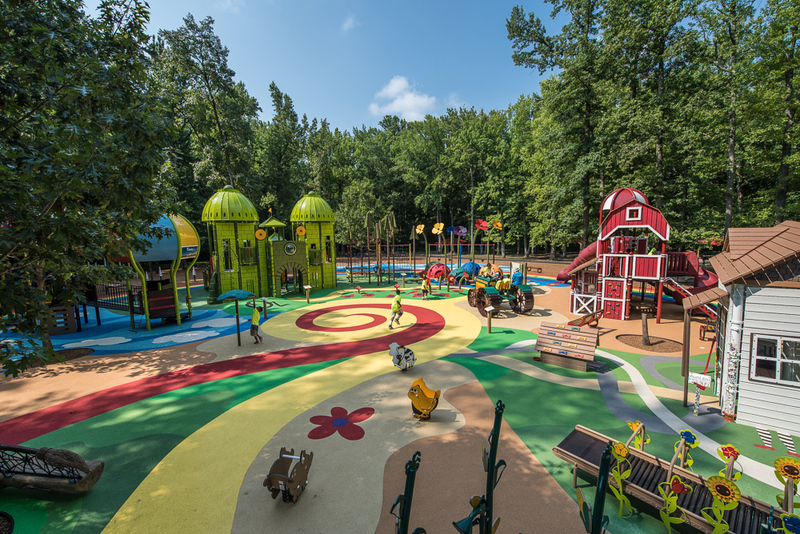 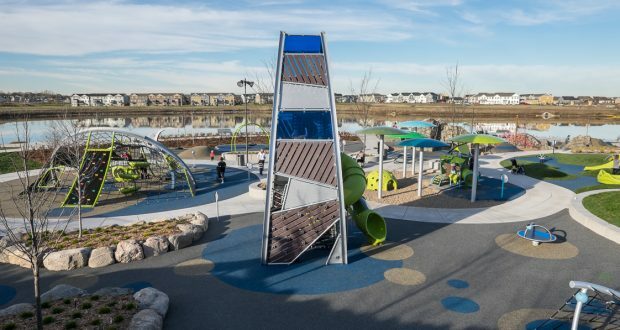 Kids of all ages and abilities will use their imaginations as they explore this destination playground, and the surrounding park. 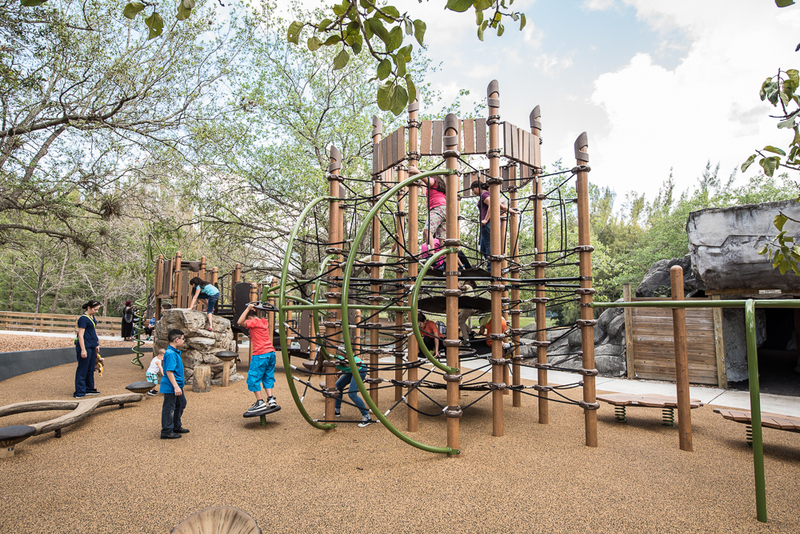 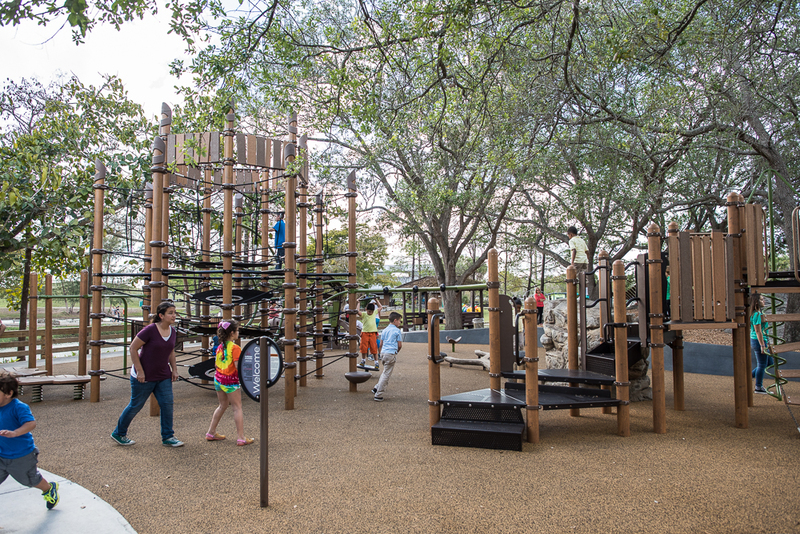 Beard Park delivers a nature-inspired play experience to visitors ages 5 to 12. 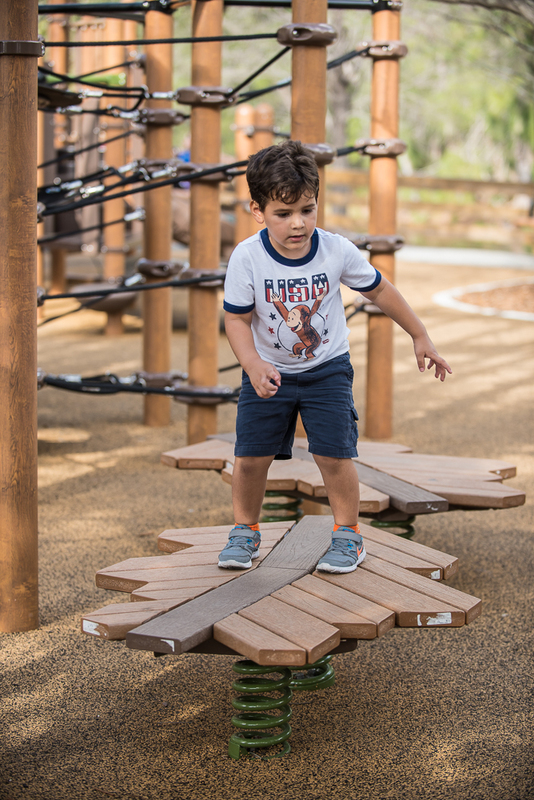 Multiple playground areas offer opportunities for kids to interact with natural looking equipment. 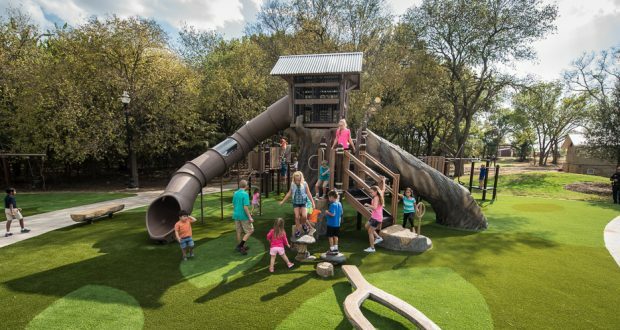 From a custom log tunnel slide to Log Steppers, Log Balance Beam and The Pointe™ rock climber, the PlayBooster® play structure designs provide a unique play experience to all that visit. 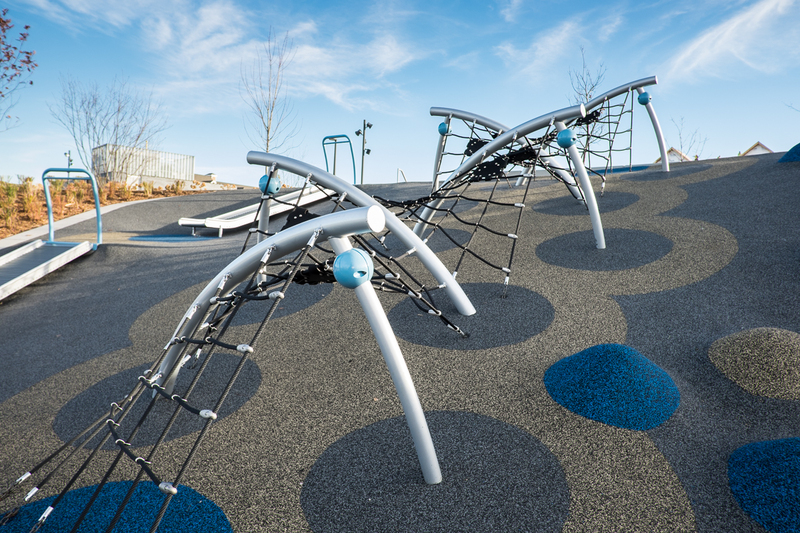 Central Park of Maple Grove is home to some of the most innovative playground equipment in Minnesota. 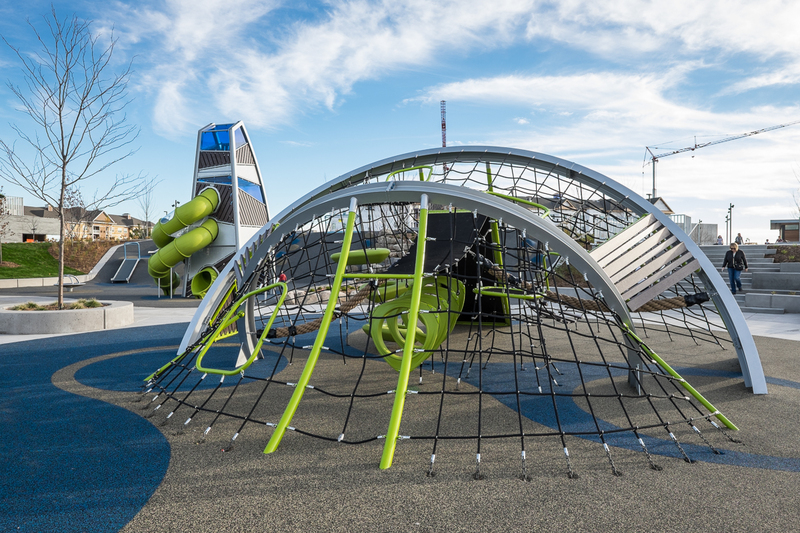 This unique playground design is made up of mostly customized pieces including a tower play structure with stacked tunnel slides, a net climber that resembles a crab trap, and rocks sculpted from concrete positioned around an Aeronet™ climber.